Millennium 2000! It is definitely a hallmark for planet earth and a gigantic transition for its inhabitants. "The times they are a changin'" wrote Bob Dylan some four decades ago, and my-o-my how they are a changin'! January 1st, 2000, marked an enormous change for all of us now living and for all of the planetary souls occupying mother earth for the next thousand years. It will be a period far different from anything we have known heretofore. The Cosmic Pendulum has swung into a whole new era of energies and we're along for the ride! There seems to be some question as to when the second millennium actually begins or began. Actually, it has already begun. Some thoughts suggest it doesn't begin until the year 2001, but this is incorrect. The second millennium actually began on the first second of the first day of January 2000. A simple analogy will help clarify this fact. When a child is born, we don't label him a particular age until he is one year old, at which time we say he is a year old. Factually, he has been alive for twelve months. Likewise, it is with the second millennium. It has been born. It was born on 1 January 2000, but, like the analogy of the child, it will not be a year old until January 1st of 2001. Numerology is the ancient art and science of numbers and their relationship with life. All life exists in a state of vibration. Numbers, and their corresponding letters, are nothing more than cosmic ciphers, a spiritual God code, defining and describing the energies which comprise our selves and our destinies. Logical, unbiased and scientific observation illuminates a clear correlation between our birth names and birth dates with the characteristics of our personalities and life events. For those who have studied numerology thoroughly, there is no question as to its reality and truth. As simple as it seems, as strange as it seems, as fictitious as it seems, it is nonetheless true - our birth names and dates actually contain the divine blueprint of each of our identities and destinies. Continuing research and development need to be done to further refine numerology and discover more of its hidden secrets, but its basic reality cannot be denied. Numbers also have direct correlation with periods of time. As science tells us, everything exists in a state of flux between positive and negative polarities, expansion and contraction modalities. Our own sun, for example, maintains a 'pulse rate', a contraction-expansion cycle, of approximately five minutes according to one nuclear physicist. Even time periods - seconds, minutes, hours, days, months, years, decades, centuries and millennia - have polar shifts. Such a shift has occurred now on planet earth as the previous millennium, designated as a 'one' vibration, gave way to the new millennium, a 'two' vibration. This polar shift of cosmic energies on our planet from a 'one' vibration to a 'two' vibration is massive. Millennia, of course, are thousand year periods of time. Therefore, the energy in which they are housed is a period of a thousand years. Enormous! What does this mean for us and planet earth? It means a great deal. The whole focus of life known to earthlings for a thousand years is not only changing, but it is changing to its exact opposite polarity, a totally opposite energy field with totally opposite characteristics. The last thousand years have been dominated by the '1' vibration. In numerology 'one' represents the positive polarity of creation. It rules the 'yang' of the Chinese Tao, the masculine energy. 'One' is a fire sign and, thus, extremely active, dynamic, assertive, initiating, independent, unbending, ego driven, self oriented, creative, straight forward, direct, positive. 'Ones' lead. They go first and show the way. They think in logical patterns and tend to be reasonable. 'Ones' are doers. They don't like to sit around. They can also be loners, pioneers, explorers, conquerors. 'One' rules light, heat and dryness. On the other hand, the next millennium will be dominated by the '2' vibration representing an exact opposite set of energies. 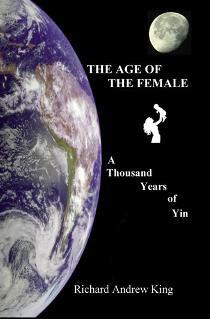 It is the 'yin' of the Tao and, therefore, feminine. It is exhibited in darkness and cold. It is also a water sign. 'Two', in contrast to the 'one', is passive, non-assertive, dependent, bending, acquiescent, vacillating, relationship driven and others oriented. It tends to be indirect, negative, deceptive and duplicitous. 'Two' is emotional and generally follows, supports and assists. 'Two' is the team player, the one who cooperates, collaborates, harmonizes, equalizes. However, '2' can also be competitive, argumentative, disputations, contradictory. 'Two' focuses on togetherness and compatibility both in positive and negative aspects. Two things need to be mentioned here. Firstly, although '1' rules the male energy and, therefore, men in general, and the '2' rules the female energy and women in general, all of us are a blend of masculine and feminine energies in various compositions. No person is comprised totally of all male energy or totally all female energy. Secondly, each number, in this case the '1' and '2', carries its own polar field maintaining a positive and negative charge. Thus, while '1' and '2' are polar opposites in themselves, both the '1' and the '2' possess their own positive and negative aspects. Like interstate and intrastate, there is also an interrelationship and intrarelationship regarding numerical vibrations. For example, the highest positive expression of the '1' is divine union - oneness with God. The lowest negative expression of the '1' is complete, destructive, self-centered ego mania. The highest positive expression of the '2' is perfect balance, peace, equilibrium and harmony while its negative aspect is destructive imbalance in relationship - i.e., conflict, war. For the last thousand years, planet earth has been dominated by the '1' vibration. It has existed in a masculine field and, therefore, maintained masculine, 'one' and 'I' oriented qualities and characteristics. Countries were emerging, gaining independence, conquering, placing their own flags and standards around the world. Male energy dominated as reflected in the saying, 'it's a man's world. However, the next thousand years on the earth will be exactly opposite. It will be dominated by the '2' vibration, the energy of the female and all of its qualities and characteristics. The discovery phase of earth has been accomplished. Countries have been established. It is now a time of learning cooperation, togetherness and support. The second millennium will undoubtedly be a time when the focus will be on others, relationships, getting along, cooperating, supporting, serving, caring and equalizing. The problem, however, is that '2' also rules conflict, opposition, emotion, competition, imbalance, deceit, duplicity, darkness. It is up to man in general, and each individual man in particular, to express the highest qualities of the '2' if there is to be global peace - qualities of caring, supporting, sharing, harmonizing. balancing and just plain sacrificing individual needs and desires for those of the whole. This will be man's struggle for the next thousand years. He will have to learn to share, get along, cooperate and harmonize. How this will play itself out specifically remains to be seen, of course. The polar shift from the masculine to the feminine began in the 1920s with the inception of the women's movement and its focus upon the female energy which is now in full swing. Women, representing the female energy of the yin, are involved in every facet of society and the economy which they were not one hundred years ago. Women in business, art, athletics, politics, etc., etc., are now the standard and will be from here on out. After all, the pendulum has swung to the opposite pole from the '1'. Earth is now destined to live the '2' energy for a thousand years, for better or for worse. All of these female transitions make clear numerological sense as the 1900s juxtapose the '1' male energy with the '9' energy of completions and conclusions. In fact, this entire last century has been one of simultaneous starts as expressed by the '1', and endings as depicted by the '9'. Looking back even farther, we can make a good argument that, as far as the last millennium is concerned, its beginnings were poignantly noted in the Norman Conquest of 1066, a 13/4 year heralding transformations in structures. Other signs of the previous millennium giving way to the new are witnessed in man's landing on the moon. Certainly, this echoed the end of his worldly conquest (1) and the beginning of his exploration into other worlds (2). Gender identification challenges are also a by-product of this change from masculine to feminine. Millennia energies are massive and it's understandable that they would generate a confusion about identity, of what is actually masculine and what is feminine. The rise in popularity of divisive groups on a global and local level such as terrorists and gangs, is also a benchmark of this period of shifting. Additionally, males have become more noticeably caring, sensitive, receptive and supportive. The contemporary ideal of a father today is drastically different from the ideal of just fifty years ago. Today, dads get involved with their children and are, generally, move loving, caring and compassionate towards them. Men can now show emotion in public when, traditionally, it has been considered unmanly to do so. Governments must now take a new look at the 'cosmic' situation as well and how to provide leadership in a world founded on thoughts of togetherness and others as opposed to oneness and self. A perfect example of this was the life and death of Princess Diana. Her passing reflected an enormous shift on this earth and held powerful ramifications for the British people and its government. For more on her, refer to "Princess Diana, Millennia Bridge" in the ARTICLES section. This Second Millennium heralds a new time; a very different time. This new period of a thousand years which has just dawned upon us will bring a concentration of energy focusing on the female aspect of creation, on women, others, relationships, cooperation, collaboration, sensitivity, receptivity, companionship, support, balance, equilibrium, competition, emotion and togetherness. This is not the millennium of the pioneer. It is now the millennium of the partner.